Flip a coin. 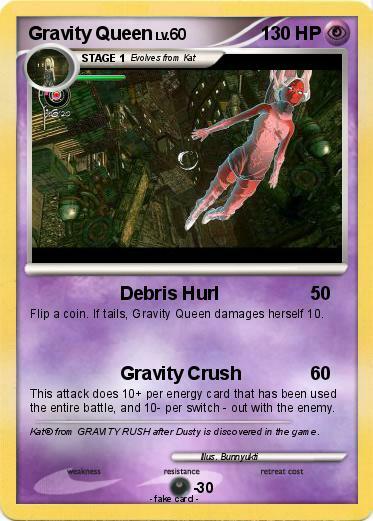 If tails, Gravity Queen damages herself 10. This attack does 10+ per energy card that has been used the entire battle, and 10- per switch - out with the enemy. Comments : Kat® from GRAVITY RUSH after Dusty is discovered in the game.